TeraVolt Energy develops large scale Solar (Photovoltaic or PV) and Energy Storage Projects in Texas. In electricity deregulated areas of Texas, we offer commercial, industrial, Agricultural and governmental electricity users the option of combining their market sourced electricity with clean solar produced electricity to achieve the best combination of short and long-term pricing. In many parts of Texas, we are developing large scale Off-Grid systems with state-of-the-art energy storage systems up to 10 MegaWatts. TeraVolt Energy is a Service Disabled Veteran Owned Small Business headquartered in New Braunfels, Texas, and a business office in San Antonio, Texas. 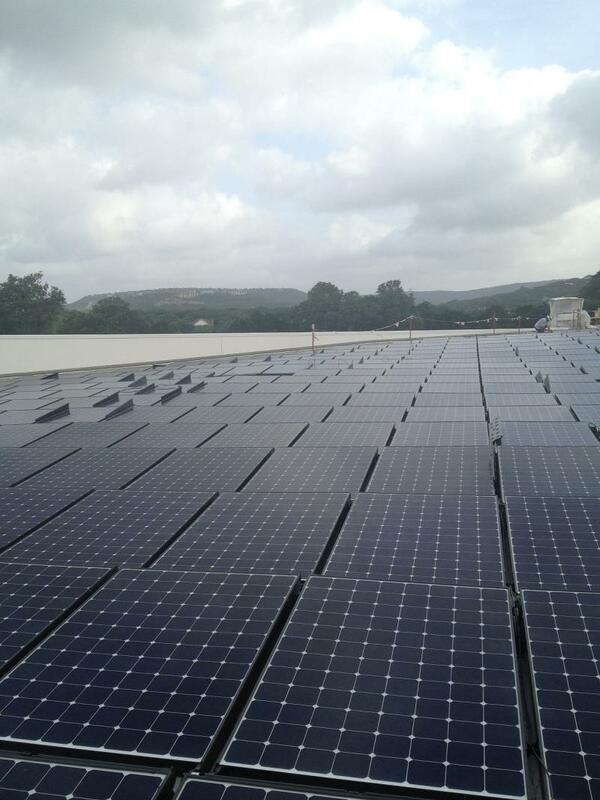 Our commercial and utility scale solar generation projects are focused on commercial, industrial, agricultural, governmental or institutional installations of 50 kW DC and up. We design, engineer, construct and manage our systems on a turn-key basis. We are also affiliated with national lenders for both financing or leasing options. You can learn more about our commercial and utility scale solar development capabilities by contacting us directly if you would like us to prepare an approach specifically for your facility. TeraVolt Energy is a Strategic Partner of Alevo,an international energy storage company, to develop practical and economically feasible commercial and larger scale energy storage solutions. These solutions are targeted towards Commercial, Industrial, Agricultural,Off-The-Grid, Electricity Arbitrage, and grid support applications. These systems can either be stand-alone or coupled with our solar (PV) systems for an integrated approach. Contact us for more information about our customized energy storage solutions. We are Affiliates of the leading solar development company in the United States. Through this partnership, we bring large utility scale solar projects to communities throughout Texas, but with a difference. Our goal is to go beyond just building solar projects. We work with community leaders and schools to create opportunities for local jobs, training, and long-term community participation in the growing Texas energy market. We are electricity brokers for MP2 Energy, a leading Texas Retail Electric Provider (REP). MP2 is one of the few REPs in Texas that offers Solar rate solutions to its customers. This gives TeraVolt Energy the unique ability to provide solar customers in Deregulated Texas Communities with a totally integrated energy approach. See our Electricity Rate Options page for more information on our solar electricity programs and our Electricity partner. TeraVolt Energy shares the wealth. Learn about special benefits available to TeraVolt customers through our affiliates and vendors on our GROUP BENEFITS page. © Copyright 2013-2018 TeraVolt Energy Inc.